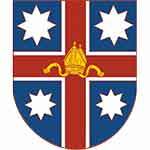 Pedare Christian College is a coeducational Anglican and Uniting Church school comprising Junior (R-5), Middle (Years 6-9) and Senior School (Years 10-12). 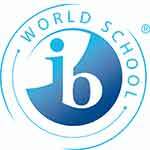 We are a professional learning community internationally accredited as an International Baccalaureate Middle Years Programme and in a candidacy phase for the Primary Years Programme. Pedare has a proud history of academic success and values-rich pastoral care and seeks to develop young people with a strong sense of self worth, knowledge and self discipline who seek to make a difference in our global community. • make a difference in the community. The vision for the establishment of Pedare Christian College in the Golden Grove area came from the local Anglican parishes of Tea Tree Gully and Modbury, and the Uniting Church parishes of Tea Tree Gully and Golden Grove. Their vision was to create a school focused on giving students the skills to become life-long learners rather than just the traditional formal academic curriculum. It’s a vision we remain committed to today. The college opened its doors in 1986 with 90 students in Years 7 and 8. In 1984, Delfin Management Services was developing land in the Golden Grove area in association with the Urban Land Trust. They were planning a ‘Joint Schools’ project and contacted the Pedare foundation planning committee to see if Pedare was interested in joining the scheme, which would also include a Catholic College and a State High School. Pedare agreed, and the proposal went forward. together with a single year 7 class. The name ‘Pedare’ was given to a vineyard established by the Tolley family on Ladywood Drive, Modbury. It was a name formed from the first two letters of the names of the three sons of Mr Leonard J Tolley: Peter, David and Reginald. Although the site for the College was originally planned to be on the Tolley vineyard land at Modbury, the present location in Golden Grove was subsequently decided upon following the decision to participate in the ‘Joint Schools’ project. In recognition of our past pioneers, the name Pedare was chosen for the new College, which became Pedare Christian College. Today, we maintain a small section of the original vineyard at our Middle and Senior Schools location. Work commences to expand the College and build a dedicated primary campus at 150 Bicentennial Drive, Golden Grove. This area has very steep banks and amazing views of the hills towards Greenwith. Thanks to the assistance of dedicated staff, students and volunteers lots of the slopes were planted with shrubs and plants to stop . At the commencement of 2005, the Year 6 and 7 classes moved to the Surrey Farm Drive location, therefore establishing Middle School (Years 6 - 9) on the one site. With this move, the identities of the three sub-schools were achieved with the Junior School at Bicentennial Drive and Middle and Senior Schools at Surrey Farm Drive. On 1 November 2005, a 20 year Celebration Ceremony was held in the College Chapel. Time capsules were blessed and buried and the College’s past and present successes were remembered. Another link with the history of the region is expressed through the names of the College Communities, which came from farms that originally occupied land on or adjacent to the present College site. They are: Brooklyn, from Brooklyn Villa Farm; Eldergreen, from Elder Green Farm; Greenwith, from Greenwith Farm; Hillcott, from Hillcott Farm and Surrey, from Surrey Farm. globally focussed, values-rich education and in 2015 the College celebrated its 30th year. Welcome to Pedare Christian College: an Anglican and Uniting Church school established in 1985 as a coeducational school in the then, new development of Golden Grove. Pedare is a warm and friendly place with excellent staff, great facilities and a strong sense of community. The College focuses on high quality teaching and learning and I encourage you to look at the record of academic achievement included in this website. Pedare’s core values of striving for academic excellence, commitment, pride in achievement, respect, support of others, faith, acceptance, understanding and compassion are nurtured in all areas of College life. The development of quality relationships between students, staff and families is an important part of your child’s experience at Pedare. We are committed to a strong pastoral care and support programme that fosters growth and resilience in students. Our students are provided with clear behavioural expectations and the students’ experiences are nurtured through a vibrant curricular and extra-curricular programme that allows each child to ‘Let their Light Shine’. Pedare is a unique and progressive coeducational school committed to excellence in educational outcomes, putting students first and fostering partnerships with families. I encourage you to learn more about the Pedare community by visiting us for a tour, as this will give you a true sense of what Pedare is all about. Pedare is an Independent Anglican and Uniting Church School. The College’s culture, aspirations and principles are founded and fostered on our Christian values and traditions and we welcome students from all backgrounds and faiths. As the College Prayer affirms, we celebrate our diversity knowing that it inspires creativity and builds community strength. Pedare has strong relationships with its Anglican and Uniting Church founding parishes and strives to teach and nurture faith in God. It is our aim to educate young leaders of the future who are distinguished by compassion, to give more than is received, to serve, and to love with God’s guidance and care. Our Christian Life and Worship Programs are designed to open a dialogue with students about God, Faith and Spirituality. Whilst Pedare openly communicates its Anglican and Uniting Church Faith background the Christian Life Program also provides an atmosphere for understanding and respect for the diversity of religions and traditions within our community. We aim always to be sincere, respectful and reflective in spiritual matters, and we encourage our students to explore their own personal faith journey. The College Chaplain conducts the worship program supported by students and staff. In 2017 Pedare has utilised the Religious Education Curriculum Framework developed by the Anglican Diocese of Brisbane’s Anglican Schools Commission (ASC). This curriculum has been taught in our Reception to Year 5 classes. The College will trial this ASC curriculum for Year 6-10 during 2018. The core elements of the curriculum are the Gospel of Jesus, the story of God’s people as recorded in the Old Testament, the Life and Worship of the Anglian Church, living in the Kingdom, issues of social justice, Christian ethics, other faiths and Christian Worship. You have blessed Pedare Christian College and made it a place of learning, support and spiritual growth. We give thanks for the students and their families, for the staff and for the many friends and supporters of Pedare. Give us an open heart towards others, knowing that our diversity inspires creativity and builds community strength. May your Holy Spirit fill us, guide us and strengthen us for each new day, so that the light of your love shines brightly through us.